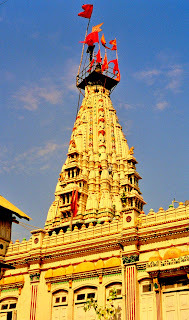 This temple is situated in the heart of Zaveri Bazaar in Bhuleshwar, Mumbai. 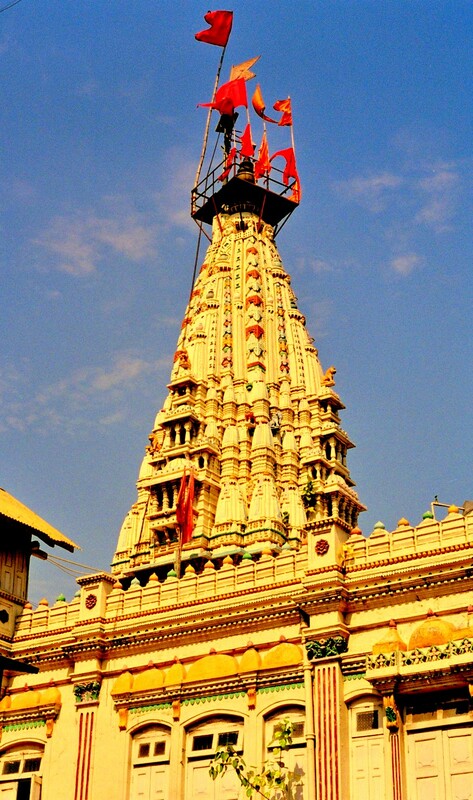 Well all I knew about this temple earlier was, Mumbai had derived her name from the goddess Mumba Devi. This Goddess amongst the innumerable God and Goddesses in Indian Religions, is the Goddess of the kolis (the fishermen) The Kolis are the native inhabitants of Mumbai, as Mumbai comprised of 7 islands earlier. The name Bombay also means in Portuguese "Good Harbor". 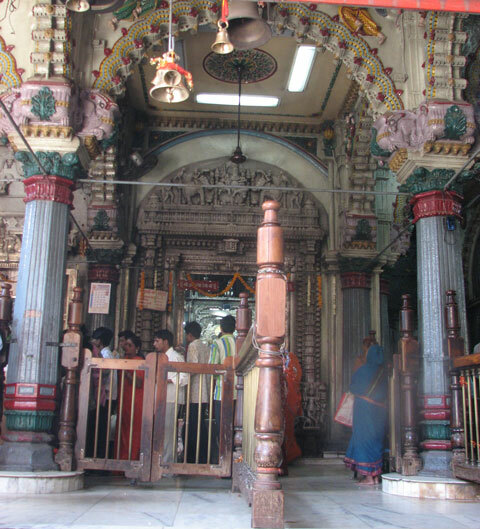 Well Mumba Devi's Religious Beliefs lay way back in the 15th century. The story goes like " There was a vicious Demon-giant named Mumbarak (After whom the island was named). By means of austerities he pleased Brahmadev and prayed to him to be favoured with a blessing that he would be incapable of meeting with death at anybody's hands, and that he would ever prove successful. Having once secured the blessing, he set out to harass both people and the Gods on earth. All the Gods therefore proceeded en masse to Vishnu to seek his protection and prayed to him to destroy their foe. Upon this, Vishnu and Shiv extracted a portion of lustre, each from his own body, and made of it a goddess or Devi for the destruction of the giant. The goddess then beat Mumbarak almost to death and threw him down on the ground and told him to ask for a blessing. He entreated her to join his own name with hers and to perpetuate that name on earth. "The goddess accordingly granted his prayer and named herself Mumbadevi." This temple is said to have been built in 1675 at Bori Bunder where now the CST is, but was destroyed in between 1739-1745. 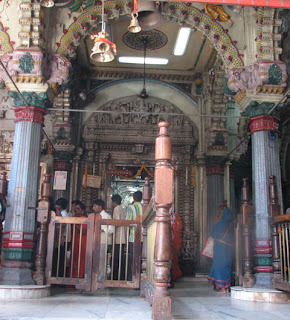 Where the temple is located, that particular street is blocked for security reasons. 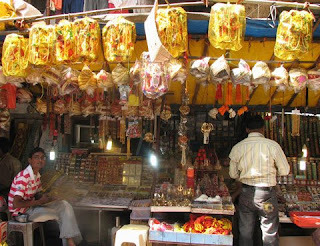 As a typical scene from any temple, you would find flower vendors and 'pooja thali' vendors, who would tell you, take some offering for the Goddess in. 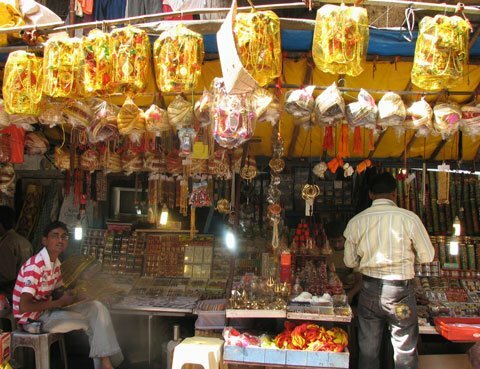 Mumbai, the land of opportunities and the place of multi- cultural feast of traditions and religion has derived its name from the religious Mumbadevi temple which is dedicated to the Goddess Mumbadevi.